We’ve been silent in the past months, mostly because we’ve been focusing on reliability and scalability. We were also slower than usual in product development, as our engineering team significantly grew in size and it took some time to become productive again. 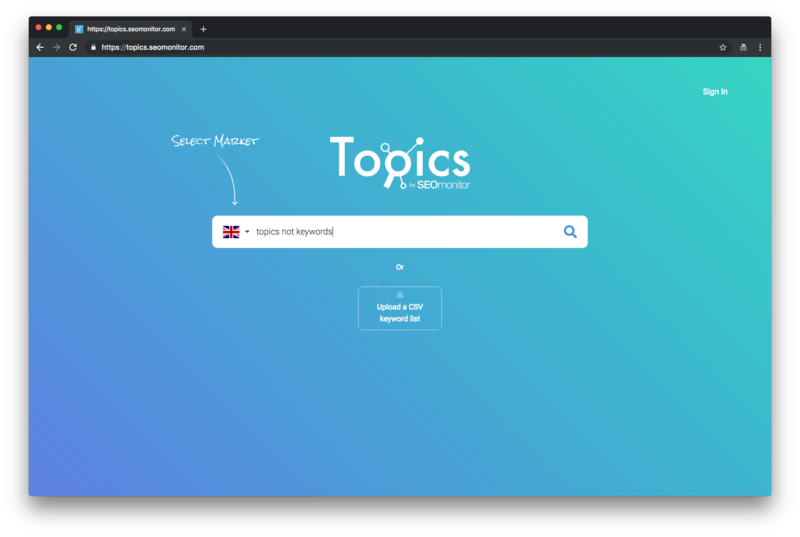 And finally, we worked hard behind the scenes to rebuild “Topic Explorer”. We’ve neglected Topics for a long time. It had slow loading times, a poor UX and sometimes even a completely unresponsive interface. After we’ve launched Signals, we started to build Topics from scratch, with a few goals in mind: fast, reliable, beautifully-designed and with enhanced capabilities. Even after two years, we still believe that Topics is the next big thing in keyword research. That’s because it does this entire job in a few seconds. It finds all of the relevant semantically-related keywords (independent of the wording) and then extracts and aggregates everything a user could need for their research. No need for mashing data from different tools into spreadsheets and then cleaning up junk, duplicates, misspellings or other irrelevant keywords. Today, we’re excited to re-launch Topics in beta. It is way faster, more reliable and it has a completely new interface. There’s also no limit on usage or exports. As it is in beta it’s only available in a few markets. It will soon be enhanced with weekly ranks and visibility trends on both desktop and mobile. Next quarter, it will enable you to explore domains using a topical approach, which we believe will be a game changer for competition analysis. Go ahead and give it a try! “Beta” does not mean “perfect”, so just let us know how we can get there. One more thing… the Topics companion was also significantly improved. 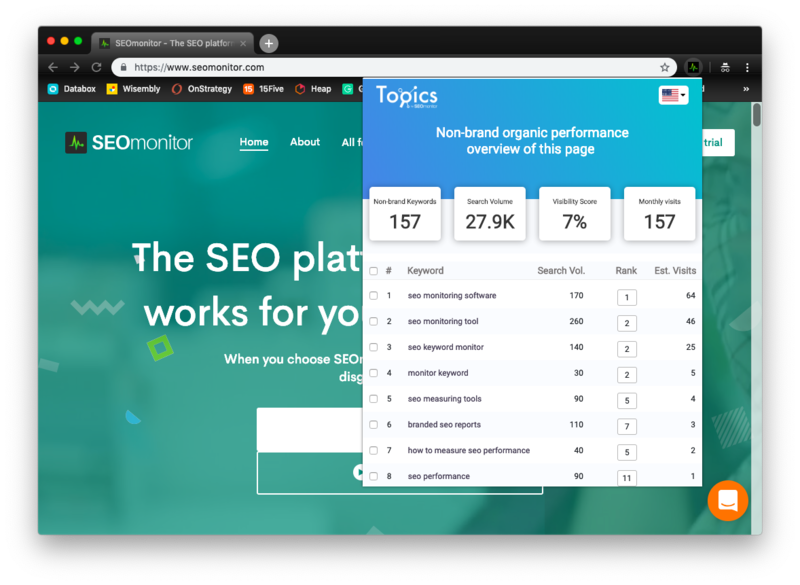 Our Chrome extension will help you easily identify the relevant keywords a page is ranking for or could rank for. We enabled the connection of our platform with DataStudio, but the hard work to map the data and design the reports is still on you. When you’re ready to start the integration, the documentation and authorization token can be found in Settings -> My account. That’s it for now. You’ll hear from us again in two weeks. Until then, let us know your feedback.